The third part of a loose series by a Czech author specialized in Turkish vexillology Jaroslav Martykán and his Turkish friend Onur Özgün summarizes data either on changes of the flags of traditional Turkish political parties or on those of new entities established since 2002. As for the former, any substantial changes in their symbolism (Fig. 1 – Motherland Party, Fig. 2 – True Path Party renamed to the Democrat Party) did not help them to improve their performance in the election, unlike the traditional Nationalist Action Party (Fig. 3) persisting in the time-proven symbol. As for new political parties, the pro-Kurdish Democratic Society Party (Fig. 8) is the only entering the Parliament through “independent candidates”. Other three parties (People’s Enhancement Party – Fig. 5, Liberal Democrat Party – Fig. 6 and The Communist Party of Turkey – Fig. 7) participated in the 2007 election without any substantial gain. Remaining parties did not even try to take part in the poll. Both regional pro-Kurdish (Rights and Freedoms Party – Fig. 9, Free Society Party – Fig. 10) and nationwide (National Autonomy Party – Fig. 11, Republican Democracy Party – Fig. 12 and Common Sense Party – Fig. 13) parties are of a marginal importance. Milan Týma describes how he organized the 4th Czech National Congress of Vexillology with the help of other members of the Czech Vexillological Society. This congress took place at a picturesque medieval small town of Přibyslav situated in the very heart of the Czech-Moravian Highlands between 13-15 June 2008. A smart manor-house turned into the Museum of the Firefighters Movement hosted thirty participants from Czechia, Belgium, Germany, Poland, Romania and Slovakia. 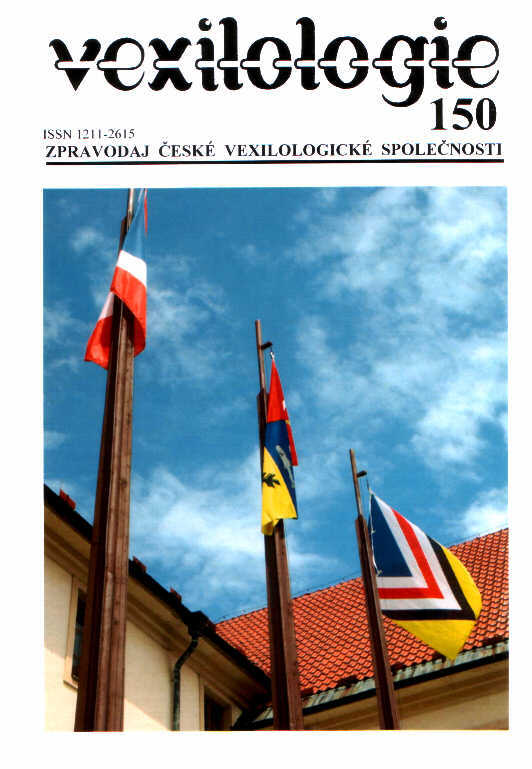 On 13 June 2008 the program of the congress started with a reception of the board of the Czech Vexillological Society and the President of the F.I.A.V. Michel Lupant by Vice-Mayor of Přibyslav Michael Omes in his office. Then it continued with a private showing of the exhibition of the replicas of many historically valuable flags of the fire squads deposited in a rich collection of the museum. The congress participants were welcomed by director of the Centre of the Firefighters Movement Jiří Pátek. The showing and following sightseeing of both exhibitions and depository of museum were conducted by its well-instructed personnel headed by the museum’s archivist Stanislav Bárta. The first congress day was concluded with a non-formal meeting of the congress participants at the beer-restaurant “U Kubínů”. On 14 June 3008 a festive ceremony of the hoisting of the flags of Přibyslav, CVS and 4 CNCV at the courtyard of the castle opened the congress officially. After taking a photo of all participants, invited guests and representatives of media the congress continued with six lectures held on the main topic of interest – historical and contemporary flags of the firemen in Czechia, Germany and the world. In the meantime, when the Czech and Slovak vexillologists held their regular annual meeting, foreign guests participated in the sightseeing tour of the town. The afternoon program continued with a visit of the Přibyslav surroundings (a conducted visit of the Church of Joannes Nepomucensis at the Zelená hora with a short stop near the burial-mound of Jan Žižka where Z. Svoboda delivered his lecture on warfare methods of the Hussite armies and strategic skills of their leader). A handover of awards granted by the Czech Vexillological Society to its members for an extraordinary contribution to the Czech vexillology became a regular part of the galla-dinner. The Congress award of the 4th Czech National Congress of Vexillology was handed over to Zbyšek Svoboda for his merits to the Czech vexillology. 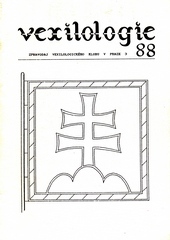 On behalf of the CVS, Jaroslav Martykán awarded three Diplomas of Honour to Aleš Brožek, Pavel Fojtík and Josef Hubka for their merits in popularization of the Czech vexillology. The same diploma was handed over also to the responsible organizer of the 4th congress Milan Týma for its successful preparation. 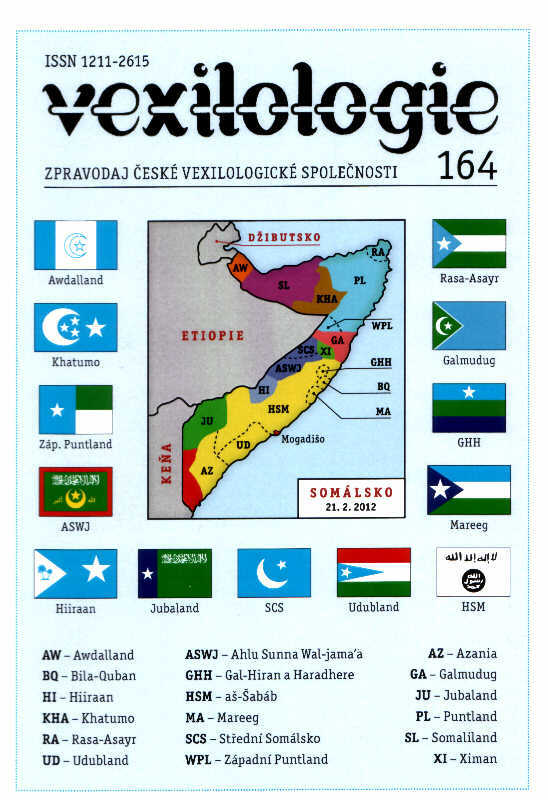 Finally, in token of their long time lasting concern in activities of Czech and Slovak vexillologists and their active promotion the board of the CVS appointed the President of the F.I.A.V. 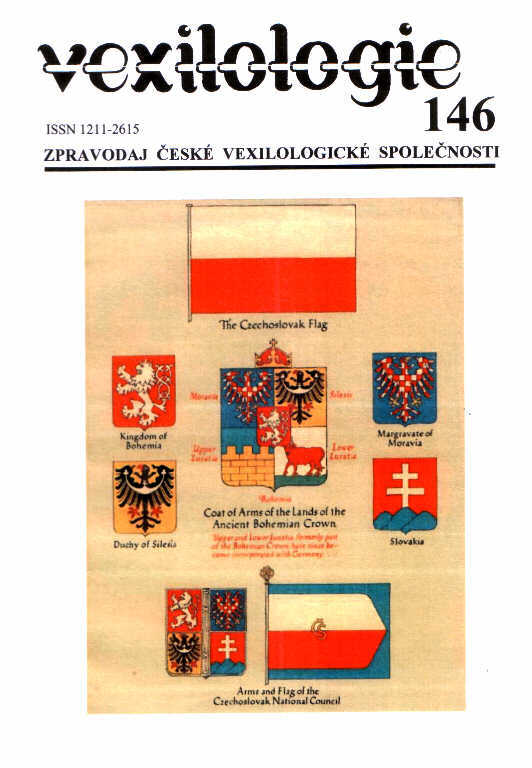 Michel Lupant and Alfred Znamierowski “The Fellow of the CVS”; the memorial table flags of the Czech Vexillological Society were presented to them consequently. On 15 June 2008 remaining seven lectures were delivered at the lecture hall of the museum that was finely decorated with many embroidered flags and banners. Along the program, the director of the leading Czech flag-making factory and the member of the CVS LIBEA Co Jan Vereščák acquainted the audience with some materials inviting the congress attendants to the town of Liberec where the next Czech National Congress of Vexillology will be organized in 2012. The official closing ceremony of the congress took place again in the courtyard of the Přibyslav castle. On behalf of the host - the Association of the Firemen of Bohemia, Moravia and Silesia - Václav Liška said goodbye to all participants while President of the Czech Vexillological Society expressed his gratefulness to the congress organizers and thanked all those who had contributed to the success of the congress. 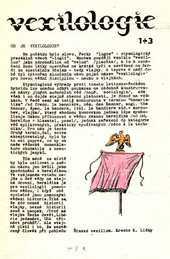 One of foreign participants of the Czech congress in Přibyslav summarizes his impression from that event as a perfect cocktail. He stresses a very good organization, a corresponding scientific level of the papers, but also an open and friendly atmosphere, which made him affirm to participate at the 5th Czech National Congress of Vexillology intended to be held in the town of Liberec in 2012.